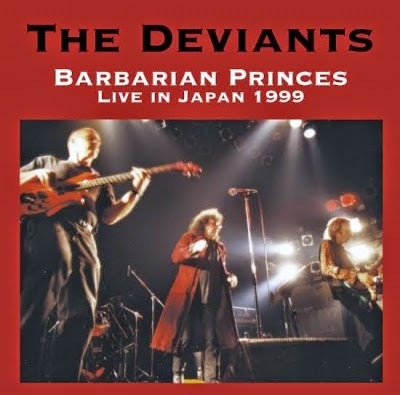 The legendary Mick Farren, for nearly forty years their singer and guiding light, has stated that The Deviants were originally a community band that "did things every now and then—it was a total assault thing with a great deal of inter-relation and interdependence". Musically, Farren described their sound as "teeth-grinding, psychedelic rock" somewhere between The Stooges and The Mothers of Invention. 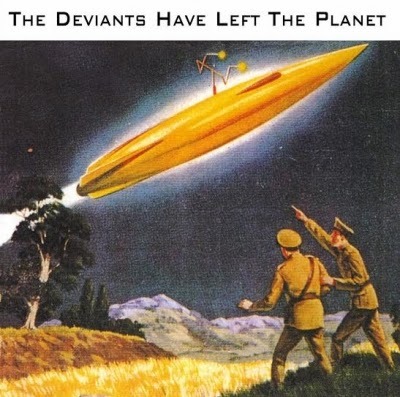 The Deviants have been described as a transition between classic British psych and the punk/heavy metal aesthetic of the 1970s. They were the glorious sound of rebellion and a true people's band, or a bloody awful row, depending on your viewpoint. Personally, I favour the first description. Andy Colquhoun, long-time Deviants guitarist, went through the album with us: "It was recorded in LA. It was mostly recorded at some studio up in The Valley”, he said, and went on to explain that there were actually two versions of the original album, and that the Gonzo release included two tracks that originally only appeared in Japan. JON: Did you and Mick write it all together? ANDY: Yes. Well, he always wrote the words and I always wrote the music. So that’s all Mick and me and then the bonus tracks were a couple of tracks we did in addition later on – Strawberry Fields Forever, a cover of the Beatles song we recorded with Johnette Napolitano as vocals as well as Mick, and The Man Who Shot Liberty Valance got added as wel,l which is a Gene Pitney number that we recorded for a Gene Pitney tribute album. It’s a very different version. Obviously Mick didn’t really sing like Gene Pitney even with the enormous numbers of chemicals. ANDY: Yes, we like understating over here. JON: So tell me about the album. What was the sort of vibe of it? ANDY: Let me see. What happens is, Mick gets a bunch of songs, and he gives me the lyrics and he decides we are going to do an album. So the first one, Dr Crow Turns on the Radio is kind of an upbeat, up-tempo thing; it’s got Ric Parnell on drums and Doug Lunn on the bass, which was the rhythm section that came to Japan with us, and did some California gigs as well. And then after he’d recorded it, I took it home and produced it and over-dubbed a lot of stuff. It had a lot of guitars mainly and keyboards and things and – you know – moved things around. We also had Jack Lancaster on it, playing sax on a couple of the tracks. So the first one is a rocker, the Strawberry Fields Forever is fairly – just a different take on the Beatles song. Johnette Napolitano features prominently on that one. The Murdering Officer, the third track, is almost a European folk song. We were trying to write something that was set musically as well as lyrically in sort of Sharpe’s Rifles era and it’s all about – the chorus is ‘all for a shilling, all for the murdering officer’s shilling’, which takes you into 19th century – you know the Napoleonic Wars sort of era and the music sort of tries to give something of the flavour of that sort of time. And then the fourth track is a blues that we were still playing live in the live Deviants set, in fact we would have done it that night in The Borderline where he collapsed and died. That’s just a straight blues really, but it’s about – we did it at Glastonbury as well – blue methadrine just for a change. Then the fifth track is a new version of a song we recorded on Vampires Stole my Lunch Money, which I think was 1978. It’s Bela Lugosi 2002 and it’s just another interpretation of the song. It’s quite different to the one on Vampires. The next one is You’re Going to Need Somebody on your Bond, which is an old American folk song really, isn’t it? And that’s Johnette Napolitano on vocals with Mick. Taste of Blues has got some really nice guitar in it actually. You’re Going to Need Somebody on your Bond is the same sort of thing. It’s quite nice. And in Diablo’s Cadillac and Song of the Hired Guns, are two numbers that we recorded with Doug and Ric, and I mainly over-dubbed those at home. Diablo’s Cadillac is a drink that the bartender in Kansas on Fairfax in LA makes. I’ve got the formula for it here somewhere but I don’t drink it everyday so I don’t remember what’s in it. Song of the Hired Guns is again a little bit like The Murdering Officer; that sort of flavour musically. Then there’s this cover we did for the Gene Pitney CD, The Man who Shot Liberty Valance. Sold to Babylon is a kind of a poem over quite an up-tempo backing track I created. A Long Dry Season has Filthy Animal Taylor on drums and that’s just Filthy, me and Mick. It’s a kind of a poem that came about probably as a result of the droughts in LA, which we experiencing at the time. You’d have to hear it, you know. And then the last track is What Do You Want?, which is a kind of – to put it nicely I suppose – it’s a kind of version of the old Adam Faith song done with a kind of honky-tonk Stones type of feel. I don’t know, we do the best we can. It’s hard to describe what it is, but you’d have to hear it. I had a lot of fun doing it and spent quite a while putting it all together. Turn the volume knob and 'Dr. Crow turns on the radio "blares like an express train through your living room. The re-issue of this lost masterpiece of 2002 should not go unnoticed to the true music lover. Mick Farren, during a performance in London in 2013 expanded into each other, achieved this record with a unique rock album. Rugged yet subtle in composition. Evidenced by the Beatles Cover 'Strawberry Fields Forever', which played vibrantly ingenious is invoiced by the mellow Fab Four. In 'The murdering officer you drink' a pint (or more) and sing merrily along on the folkie tune (and let yourself be surprised). Mick Farren is strong word in ghosts and guitarist Andy Colquhoun feels perfect poetic side. The percussion Rick Parnell makes the composition. Strong! 'Bela Lugosi' (Hungarian actor who played Count Dracula) is then a trickle of heavy metal that causes no pain in the ears. Sneering guitar work with heavy freaky lyrics put you in the mood: you do not know what the hell was happening. In 'You gonna need somebody, "he moans the whole neighborhood to each other in a duet with Johnette' Concrete Blonde 'Napolitano. (Is there a doctor nearby?). And the emotional sax Jack Lancaster let you happy untouched. "What do you want (more)? 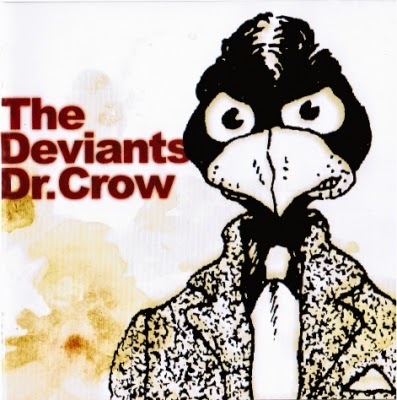 Not only Dr. John and Arno adepts will work with Dr. Crow of The Deviants lovers can meet. Garage rock / punk and the rugged literary know-all fans licking fingers and thumbs. Also appeared on the Gonzo label: 'The Deviants have left the planet. "Even more handsome ! !